In UK English, a hob is the flat top part of a cooking stove or a separate flat surface with burners that we use for cooking. It is also a projection at the back or side of a fireplace used for keeping food or other things warm, although this sense is not much used anymore. In games like quoits, a hob is a rounded peg or pin used as target and also the name of a game in which these things are used. In folklore, hob is short for hobgoblin, which is a mischievous mythical creature. A pot of stew was simmering on the hob. Grandma set the kettle on the hob to keep warm. The children set up the hobs ready for their game of quoits. Everyone played hob after lunch. Hobs, elves, and fairies gathered on the hill in dead of night. Hob or Hobbe is also a variant of Rob, short for Robert or Robin, though it is now very rare. 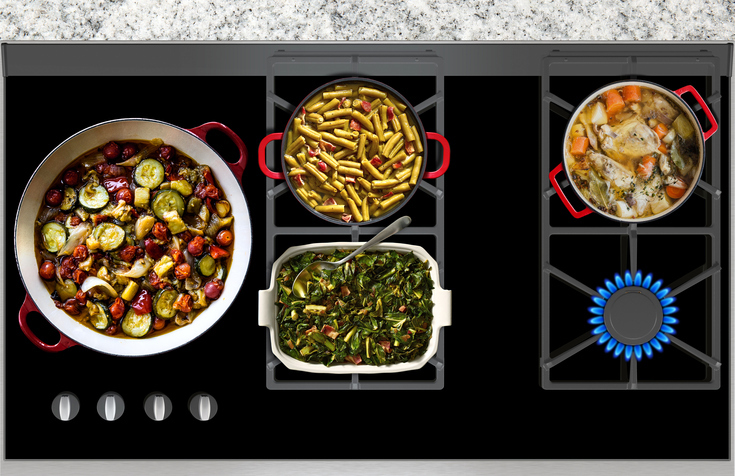 In folklore, hobs were often thought to be attached to households. Although mischievous, they would also help with chores and thus be useful. However, if a householder did something to offend the house hob, they could cause all sorts of mischief and make life very troublesome for everyone. Hobs were bound to the households they belonged to and unable to leave unless a member of the household presented them with a set of clothing, which symbolized the hob’s freedom. Hob, originally meaning ’rounded peg used as a marker in games’ dates back to the late 16th century. Its origin is uncertain, but linguists think it is a variation of the Middle English hubbe, from the early 16th century. Hubbe, meaning ‘lump or protuberance,’ is thought to have given us both hob and hub, but its origin before then is unknown. The sense ‘projection or shelf at the side of a fireplace’ dates back to the late 17th century. Unrelatedly, hob, meaning ‘a clown or prankster,’ dates back to the early 16th century. It is short for hobgoblin, which appeared around the same time. Hobgoblin is a compound made up of the words hob and goblin. Hob was, for a short period, a colloquial name for an elf, because the nickname Hob or Hobbe, short for Robin, was associated with Robin Longfellow, a well known mischevious elf from German folklore. The expressions play hob and raise hob are both from the early 19th century.